Drafted by: Toronto Blue Jays (2004) but did not sign. Drafted by Tampa Bay Rays (2007) and signed. Status: Out of baseball at end of 2008 following release by the Florence Freedom of the independent Western Professional League. Summary: Played in 64 minor league games over 2 seasons. Had an overall BA of .238 with 5 home runs. Status: Out of Baseball. Retired in Spring of 2012. Klinker retired from the Cincinnati Reds AA affiliate Pensacola Blue Wahoos (formerly the Carolina Mudcats) as spring training was beginning in 2012. He had ended the 2011 season on the disabled list rehabing from a rib injury sustained while pitching for the Carolina Mudcats (AA). Summary: Klinker played in 109 professional games (excluding winter leagues) over five seasons, all in the minor leagues, with 21 at the AAA level. His overall won/lost record was 37-32. He had a positive 9-7 record with 1 save in AAA games. He attended the 2011 Cincinnati Reds major league spring training camp where he made one pitching appearance before returning to the minor league system. Progressed through; Billings Mustangs (RK), Dayton Dragons (A), Sarasota Reds (A+), Carolina Mudcats (AA), Louisville Bats (AAA), and Cincinnati Reds (Spring Camp). Highest Level Reached: AAA (Salt Lake Bees, Pacific Coast league) Was brought up to AAA in mid season 2015. 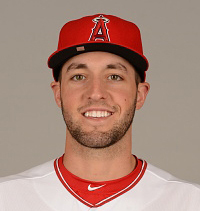 Status: Signed to Angels major league contract and re-assigned to Salt Lake Bees at the start of the 2017 season. Summary: Smith has played in 92 professional games with 86 starts. His combined record is 32-26 with an era of 3.85. Status: Released by Triple A Charlotte affiliate of the White Sox on 7/24/2018. Currently a free agent. Summary: Has played in 550 professional games, progressing from the rookie league up to the majors. His major league debut occurred on 4/4/2017 as the opening day center field starter for the White Sox. Was reassigned to AAA after 15 games in the majors. Released by Charlotte 81 games into the 2018 season. 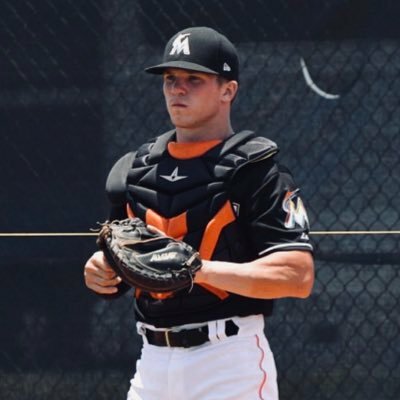 Played College Baseball at: Signed with The Ohio State University but then signed with the Miami Marlins.